Form a loop in the end of the rope. Tuck a bight of the standing end through the loop. Make the bight larger and pass it around the object. Pull on the standing end to tighten the noose. Uses: The simple Noose (ABOK # 1114, p 204.) 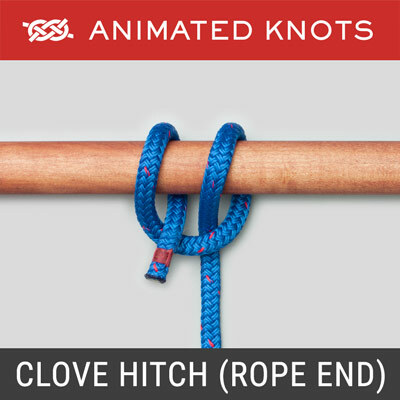 is identical in structure to the Slip Knot except that the bight to be inserted is formed from the long end – and not the short one. It has been used as a snare to catch small animals. It is not the Hangman's Knot. 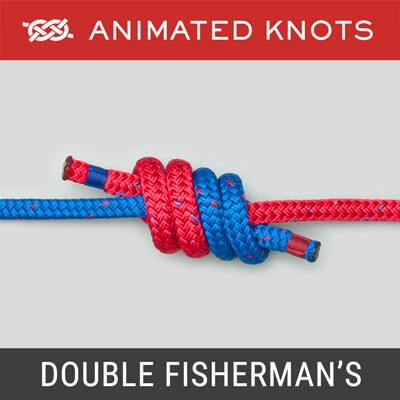 It is a frequently tied knot - being used in the Arbor Knot and in knitting as the first loop when casting on – where it is frequently tied as a Noose and called a Slip Knot. It has many other uses including gaining initial control of the string when tying up a package. The Hangman's Knot is related to the simple Noose except that many turns are wrapped around the loop. Its supposed advantage for hanging was humanitarian: appropriate use was intended to result in a broken neck - causing a rapid death. It is deliberately not illustrated here (see below). "Noose" Name Confusion: It is unfortunate that "noose" is used in a number of ways: 1. The knot described on this page; 2. 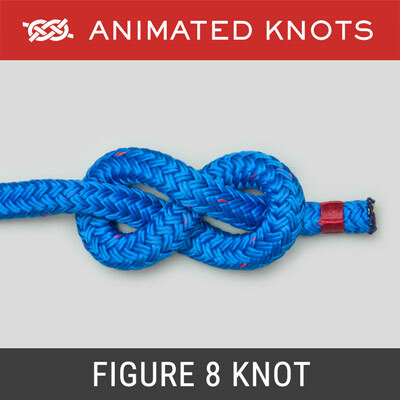 A descriptive term for loop knots that tighten under load; and, 3. Sometimes applied to the Hangman's Knot. To make it worse the Duncan and the Hangman's Knot are often wrongly regarded as the same. 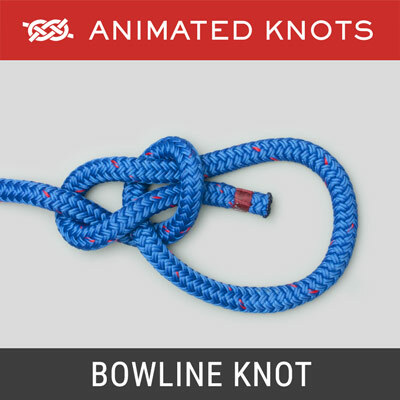 It would simplify life to use "Noose" for this knot and use the proper names, e.g., "Running Bowline" or "Duncan", etc., for other noose-like knots. 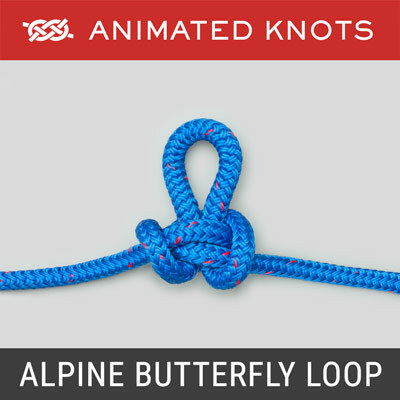 Tying it: The technique used in the animation tucks a bight of the long end through a loop. The same result can be obtained almost as easily by passing the end round the object and using the short end to tie a Half Hitch around the long end. Tied this way it is the first part of one version of the Butcher's Knot used to secure meat for roasting - where again, just as in knitting, it is often misnamed a "Slip Knot". Danger: The Noose knot is not a Hangman's Knot but it can also be deadly. It should never be tight round someone's neck. 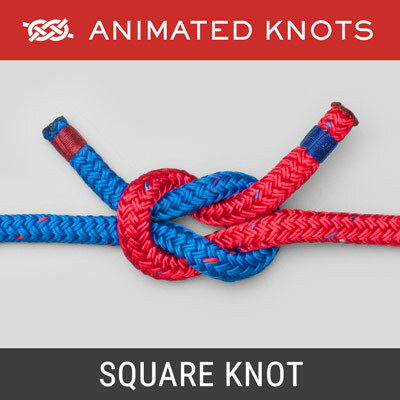 The knot can bind and critically restrict blood flow. Several Questions on Snopes ask whether it is illegal to describe the Hangman's Knot. It isn't. Legislation: However, 2009 Louisiana Laws TITLE 14 and New York Article 240.31 both prohibit the display of a Noose because of its use as a means of intimidation. The Louisiana Bill specifies the Hangman's Noose. The New York State Article uses the generic "noose".